New to the conference? You are not alone. 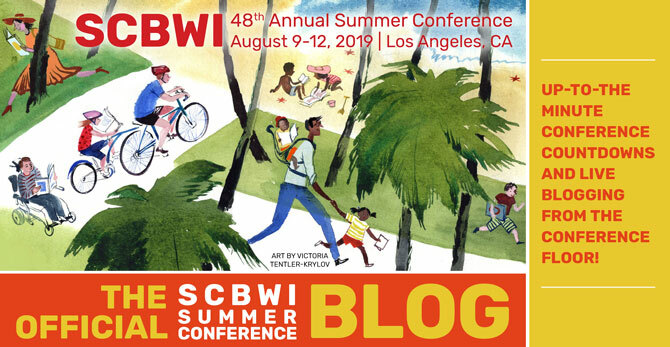 There are more than 400 new attendees at the #LA15SCBWI—so no worries.! 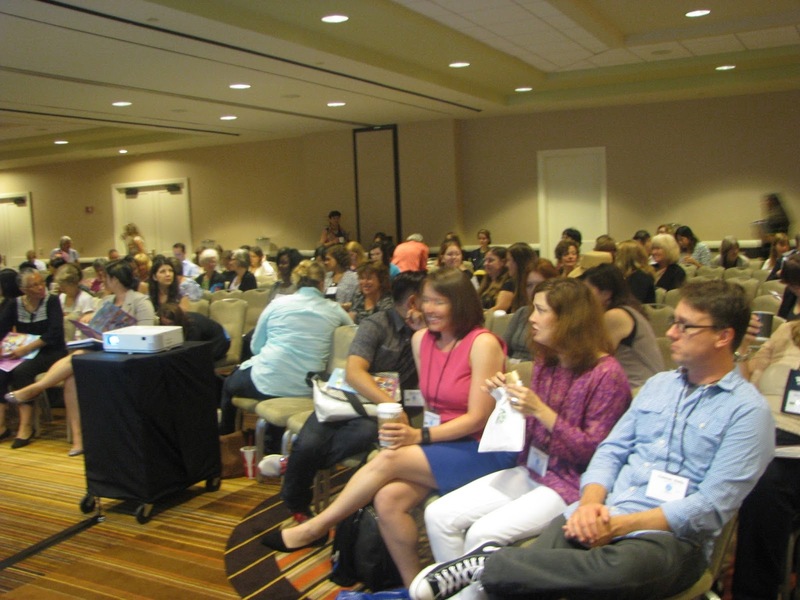 Longtime conference goer, writer Jolie Stekly kicked off the day with a New Attendees Orientation, schooling newbies on getting the most out of the weekend. And, boy, there was a lot of laughter—she had 'em cracking up! Secret: BIRD is the word, though you have to be here to be in on that secret. • Be yourself! There is room for everyone and know that you don't have to compete with anyone here. Relax. Get to know someone. Have fun! •Don't get overwhelmed. There are many choices for sessions and keynotes. You don't have to do everything. And don't be afraid to take a break. • Don't make the weekend about editors and agents only. 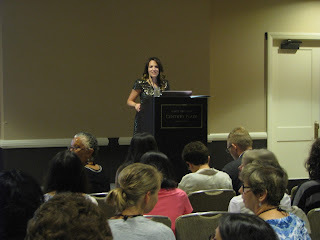 There are many aspiring and published authors and illustrators at this conference. Take advante of who is sitting next to you. Introduce yourself. • Set yourself up for success: Think of three goals that you know are achievable—and go for it!